You may know that it's possible to buy foreclosed properties. That is, property seized from the owner due to non-payment of the mortgage etc. You can do this in Japan, too (called saibankeibai 裁判競売). Two websites which lists such opportunities are foreclosedjapan.com (English) and bit.sikkou.jp (Japanese). If you're looking to buy a house in Japan then this is a great alternative to the regular method. You can see a vast catalogue of houses, condos, commercial properties etc. I even found several very close to my little place in the obscurity of the Nagano mountains. The prices are incredibly low. A small shop with living quarters upstairs on the main street of my town went for 1.6m yen (currently about 12k GBP/19k USD). It's now a really nice, and popular, yakitori place. I've also seen huge, sometimes lovely houses go for only three or four times that. Condos seem to come with the potential of excess debt which you will be responsible for paying. Apparently that is not so common for houses. NB: Those in the big cities are often snapped up by agencies/companies set up specifically for this kind of thing, but outside of the heavily populated areas are some real bargain to be found. Check foreclosed Japan's completed listings for more examples. 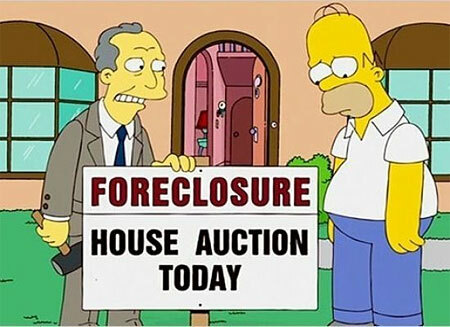 You do not need to be a Japanese citizen, or even resident, to bid on and purchase foreclosed property. and returned our non-circumvent/non-disclosure agreement. Review the property details and ask any questions you may have. order for you to determine an appropriate bid amount. amount, in order to submit a bid for the property. (within about one week of tender opening) and our fees are zero. and any fluctuations in currency exchange rates. The AIE auction service fee is 6% of the actual bid amount plus debt, with a minimum charge of 630,000 yen (600,000 yen plus 5% consumption tax). Additional closing costs are estimated at 6% to 8% of total, but can vary widely depending on the property and the discount achieved. and costs, our fees, and administrative charges. Insurance, property management, and renovations will be extra, if required. does come up from time to time with other property classes. It seems too good to be true, doesn't it? Well sometimes you may run into problems. Real Estate Japan claims that the buying process can be long and drawn out. Occasionally you will be responsible for excess charges such as returning the deposits paid by current renters of the property (who you may also need to evict - this is what takes the time; sometimes up to six months). It is also not possible to inspect the inside of a foreclosed property if tenant are still in situ, so you have to rely on potentially outdated images of the interior (if available). In summary, you must be thorough with your search, checking every detail of the property and what responsibilities will fall on you as the owner. If you do all that and the deal still looks good, then go for it! Many people do, and find great homes or make good money in development. If you have any experience with this, please let us know in the comments.